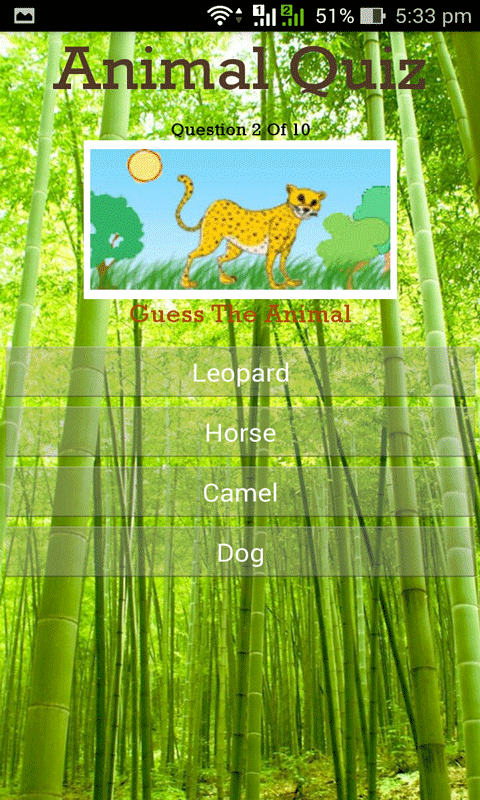 Identify the Animals is a puzzle to identify the Animals in the Pictures. 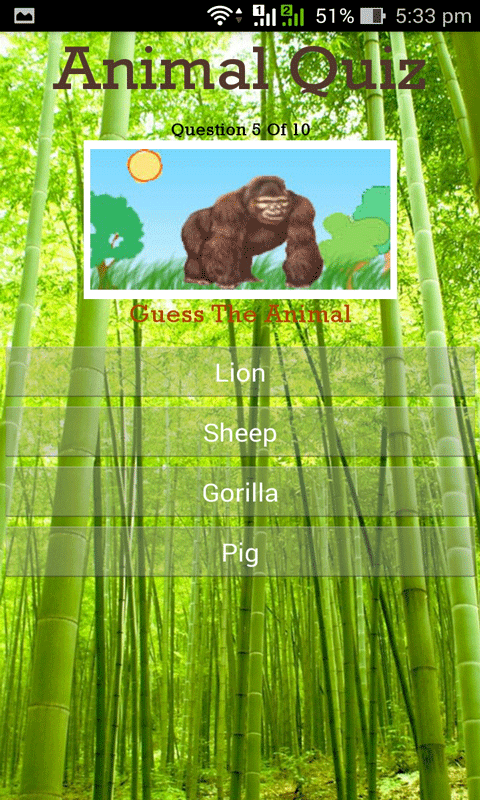 How to Use: Identify the Animals from the given image and click on the name of that Animal. 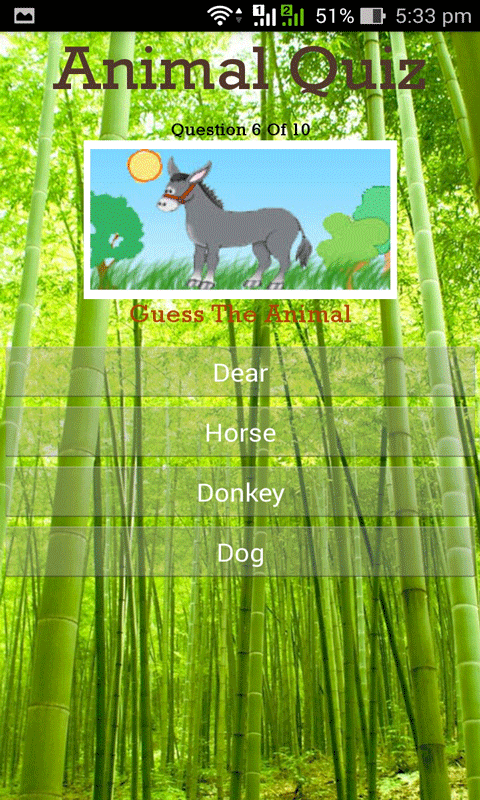 Every quiz contains a set of 10 questions. 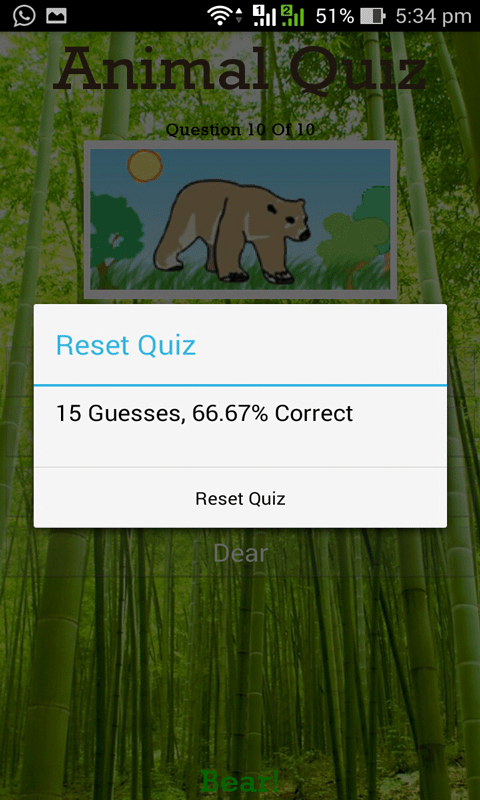 The result is based on the number of guesses and it will be shown in the percentage. 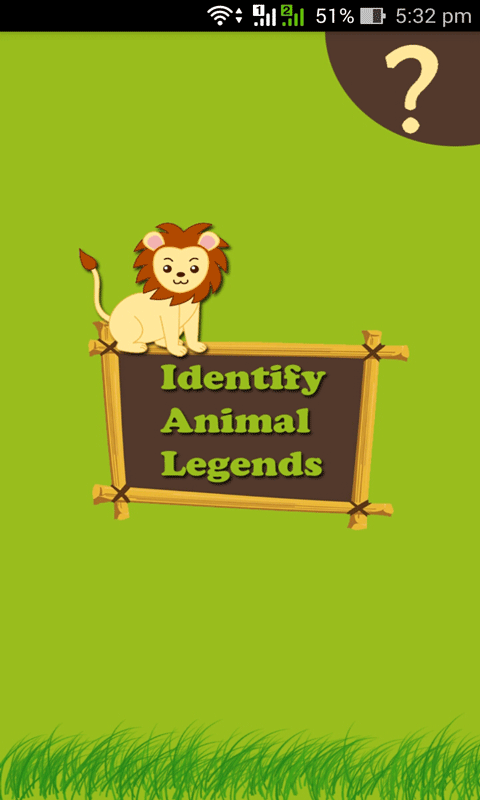 Available Features: * Easy and simple install and use (User Friendly). * List of 10 questions in every quiz. * Set of 9 options with every questions. * Result analysis. * Next quiz.